Dr. Ulf Lindqvist manages R&D projects in infrastructure security and leads SRI's support for the Cyber Security Division at the U.S. Department of Homeland Security's Science and Technology Directorate. He leads SRI's Internet of Things (IoT) Security and Privacy Center. 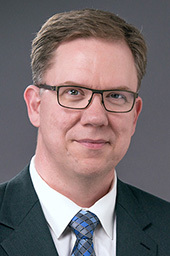 Dr. Lindqvist's expertise and interests are focused on cyber security, infrastructure systems, intrusion detection in computer systems, and security for systems that interact with the physical world. He has more than 35 publications in the computer security area, many of which are bridging the gap between theoretical and applied research, and he holds one patent. He served as the 2016-2017 Chair of the IEEE Computer Society's Technical Committee on Security and Privacy and also served as the Vice Chair of the IEEE Cybersecurity Initiative. Dr. Lindqvist served for three years on the executive committee of the Institute for Information Infrastructure Protection (I3P), a consortium of leading national cyber security institutions, including academic research centers, government laboratories and non-profit organizations. He holds a Ph.D. in computer engineering and an M.S. in computer science and engineering, both from Chalmers University of Technology in Sweden. He was named an SRI Fellow in 2016. Weaknesses In Power Systems Spark Fear Of Science Fiction-Style Hack Sabotage - Associated Press, October 23, 2011. Appeared in The Huffington Post, The Daily Mail, and several other media outlets. Ulf Lindqvist has supported the organization of the IEEE Symposium on Security and Privacy in various roles, including serving as General Chair of the 2010 Symposium.